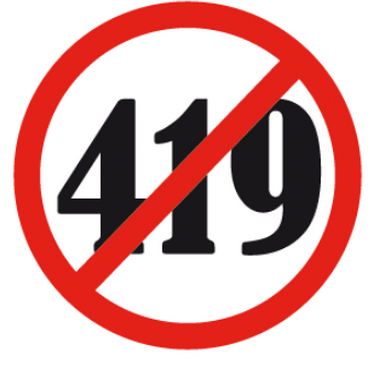 419 Scams are also known as Advance fee Scams or Advance Fee Fraud. The most popular variant of such scams are the Inheritance Scam and Lottery Scam. The Inheritance Scam is covered in this category, while Lottery Scam is covered in a category on its own. In general, the scammer in a 419 scam makes up a story about a large sum of money (fake) that does not exist in reality. In the case of Inheritance Scam (which is what this category will cover), someone rich has died leaving behind a huge sum of money. The scammer will request to transfer the money out of their country with your help, e.g. coming forward to pretend to be the next of kin. In the process, they will request money from you first to cover some legal fees, bank fees, transfer fees, or whatever they can think of. This fee is called the “Advance Fee” and hence the scam was known as Advance Fee Scam. After you have paid the fees, you can forget about seeing that large sum of fake cash. The scammers will disappear with your money, and may even use your personal information for identity theft. This is commonly known as “Nigerian Advance Fee Fraud (419)”. 1) The sender’s email address can be fake. The scammer can send the mails out using any email address via an anonymous mail server. 2) The names used in the email are fake – most of the time. There is no need to inform the police about the names, because they need more than that to find the real person behind all these. 3) The whole story is fake, including the money, dead people (if any), etc. 4) If you still insist on going ahead to try it out, please bewarned “Never Pay Money to Get Money (prize)”. We assure you that at some point in the communication process, they will ask you for money. In some cases, they will also ask you for personal identity information, which can be used to scam the bank to provide them with you bank account details. 5) If you received a check from a stranger for any funny reasons, it might be a fake check. When you bank in a fake check, the bank will clear the check and deposit the cash into your account within 3 days. After that, the scammer will ask you to send the money to them. When the bank finds out that the check is fake after about 10 days, they will ask you to return the money. 2) If you sent any sensitive personal information (e.g. Bank Acct. No., National ID Card no., Birthday, etc) to the scammers, contact the bank immediately so that they are aware of the fraud. If this is a credit card, contact your bank to terminate the card and issue a new one. 3) Inform your friends and family members, esp. the elderly, about such scams. It is too late to tell them if they have already been scammed. Prevention is better because there is no cure!